The 37-year-old Puerto Rican and Dominican American reggaetón star has joined Hublot’s ambassador club, as the brand’s first Latin music ambassador. 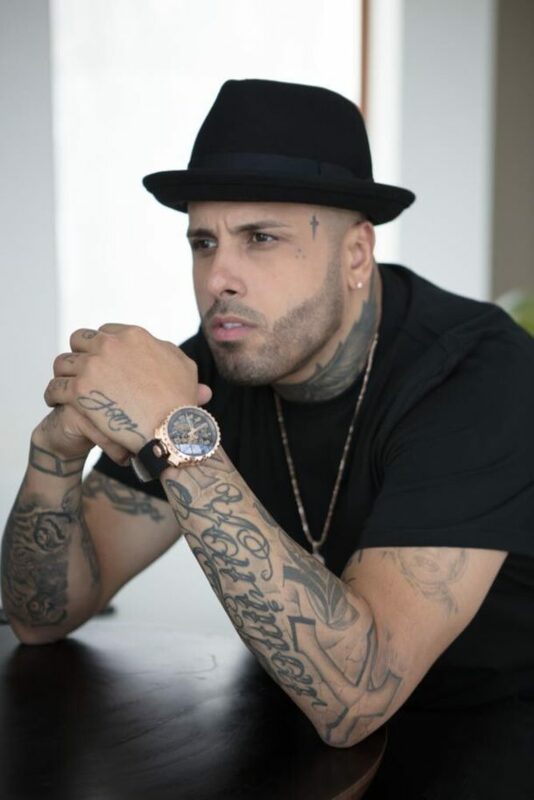 Nicky Jam joins a select group of Hublot “ambassadors” that includes Usain Bolt,Eli Manning and Floyd Mayweather. Only two of the ambassadors Hublot has listed on its website are music artists: pianist Lang Langand Depeche Mode. And only two others have Latin American roots: soccer star Peléand Arturo Fuentecigars. Guadalupe was referring to the fact that the FIFA World Cupanthem “Give It Up!” is performed by Nicky Jam, with Will Smithand Kosovar singer Era Istrefi. That song, however, is not the only Nicky Jam hit on Switzerland’s charts: “X,” his hit with J Balvin, landed in the country’s top 20.